A comprehensive programme for lovers of history, heritage and arts developed between Olomouc and Kroměříž, which provides a comprehensive insight into the rich cultural and spiritual history of a large part of Moravia within its more than thousand-yearslong development. Only after visiting all the three heritage sites of Spiritual Axis of Moravia, the visitors will fully understand the importance and scope of activities related to Olomouc Archdiocese in Moravia. The programme consists of guided tours through the three heritage sites and products of joint publishing. Education, presentation and marketing activities. The Individual historic objects and collections represent a respectable summary of different architectural styles and art exhibits. as well as the opportunity to establish a real Gateway to learning the history of towns and regions, landscapes and communities. traditions and spiritual values of the Olomouc Archdiocese. 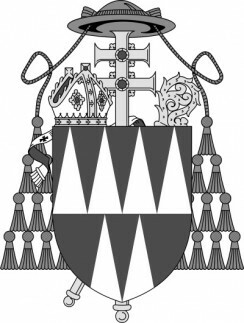 Local and Economic Management of Olomouc Diocese and Archdiocese. 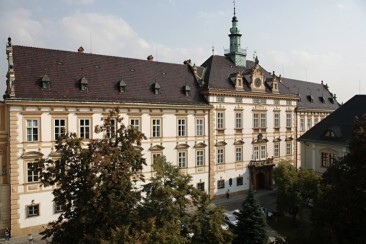 The Archbishops Palace belongs to the most important early-Baroque buildings in Moravia. It was built under the project of the Italian architect Filiberto Luchese on the site of an earlier Renaissance palace. The layout of the Palace consists of seven two-storey wings, surrounding two inner rectangular courtyards. The long street frontage has a richly structured facade with three portals. A representative staircase and ceremonial halls emphasize the palatial character of the building. An original Baroque stucco decoration of the rooms has been preserved in the interior. The bishops residence has undergone several reconstructions realized by leading European architects and painters. The last major reconstruction of the Palace was implemented after a fire in 1904 under the Archbishop Francis Bauer. Many prominent personalities visited the Palace; including Franz Joseph I. who ascended the Imperial throne here in 1848. Olomouc Archdiocesan Museum was inaugurated on the 1st June 2006. It is located in a reconstructed national cultural monument the Přemyslid Castle (the chapter deanery, the tower with St. Barbara´s Chapel and the Romanesque Bishop´s Palace). The grounds are the evidence of thousand-years of structural development and ranks among the oldest permanently settled sites of Central Europe (finds dated around 4000 BC). In 1306 the last Czech king Venceslas III Přemyslid was assasinated here. The permanent exhibition presents, in 16 halls, more than 300 items from Roman style to baroque, inclusive of the famous Madonna of Šternberk or the coach of bishop Troyer. The Archbishop´s Chateau and Gardens represent a unique historic landmark that is one of the most significant Moravian tourist attractions. 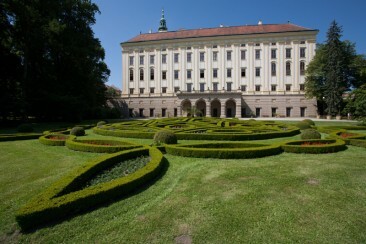 For most of its history, the Chateau served as a summer residence of the Olomouc Archbishops. Architecture, gardens and collections that can be found here belong to the most valuable cultural heritage of our country. There is no doubt that both Chateau and gardens are deservedly featured on the UNESCO World Heritage List.